Please note there is a minimum 2 night stay at weekends and in School Holidays, and 3 nights on the late May B/H and August B/H (Fri arrival). Please drop us a line if you have a special request, want to book a large group or have exclusive use of the site. Please Note: prices may differ if booked through 3rd party sites. Please help to support our family-run campsite and book direct with us for best possible price. If you are looking for a break and fancy getting away from it all on your own we can help! 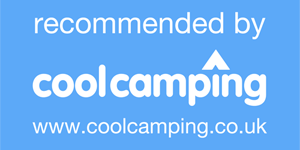 Drop us a line (call 07794401591, email or use our contact form) and we may be able to offer you a special Single Occupancy Saver discount for our glamping options. The availability and level of any discount will vary according to season and booking but we will try our best to help you - it never hurts to ask!